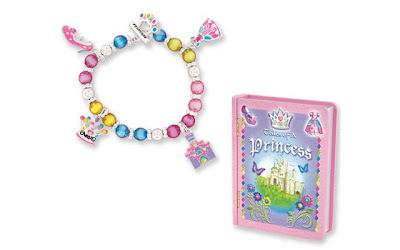 This Tales of a Princess Girl's Bracelet in a Storybook Gift Box is currently selling for just $11.39 on Amazon.com!! You will be saving 43% off the listed price of $19.99 with this jewelry deal. What I like about this bracelet, in addition to the adorable fairy tale book gift box, is that the bracelet is stretchy, so sizing is less of an issue.